Enjoy healthy and green scenery all year round. As qualified experts in all aspects of lawn care, LCS Landscapes & Grounds ensures that your lawn is in safe hands. Based in Macclesfield, Cheshire, we breathe light and vitality back into your lawn. 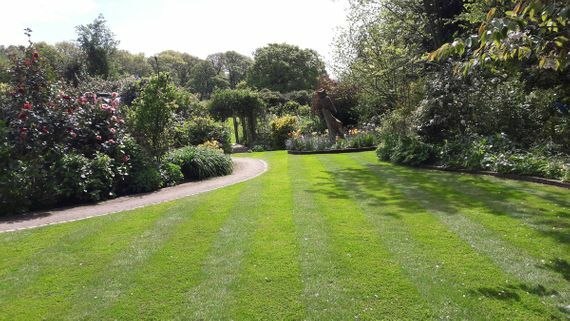 We’re the region's go-to experts for full lawn maintenance, offering an array of packages using the best lawn fertiliser for a great outcome. Take advantage of our full evaluations to assess the condition of your lawn. We discuss your exact needs and survey the quality of your turf to deliver a more bespoke and personalised service. Regular and varied fertilizer applications improve the health of your lawn. Using a nutrient-rich blend in spring, following up with a colour-boosting mix in summer and a toughening combination ahead of autumn, we keep your lawn healthy throughout the year. The better prepared your lawn is for winter, the easier it is to restore it the spring. Don't delay; call our team today for our great range of services. This service is essential for lawns because grubs and larvae not only feed on the roots of the grass plant, but they also encourage birds to land and disrupt the lawn further while searching for food. Carried out in spring and autumn, this involves the removal of dead material from the lawn to reduce unhealthy moss growth. 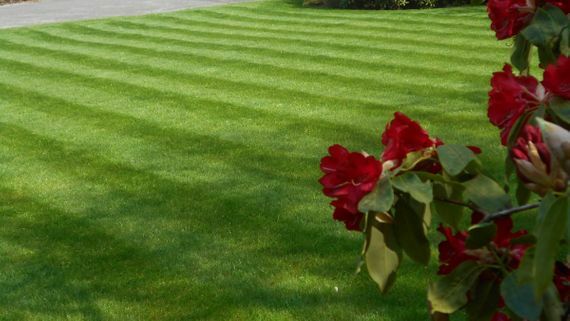 To discover more about our lawn fertilisers and lawn maintenance services, contact us, in Macclesfield, Cheshire.